Searching for a local mover? We’re easy to find. Since we began, Planes Moving & Storage has been known as one of the top local moving companies in Cincinnati and across the Midwest. With teams in Cincinnati, Indianapolis, Chicago, Columbus, and Dayton, Planes Moving and Storage is your preferred local moving partner. We understand that every move is different, which is why we build a customized move plan to suit your budget and preferences. Want us to handle everything? We’ll pack, load, and unload – and we can store items in our secure, local warehouse. Interested in packing on your own? We can help you select the right packing materials for your belongings. Our experienced move coordinators will guide you through the entire process–so you can focus on more important things. Our team members live and work in your community, so chances are, our trucks have been down your road before. 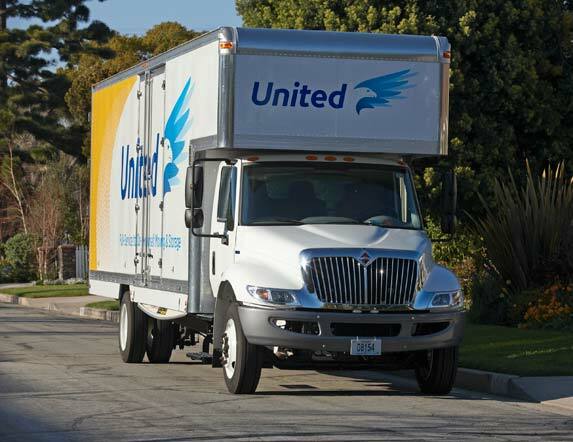 We’ve moved thousands of families just like yours across town, and our team stands ready to move yours. Begin clearing clutter from your home. Start with closets, the garage, basement and attic. Get rid of everything you don’t want moved. Host a “garage sale” or use an online auction service to dispose of unwanted items. Donate unwanted clothing or household goods to charitable organizations. Contact Planes. Set a date for a virtual or in-home survey. This will allow us to properly estimate your upcoming move. If your move is a corporate relocation, share your company’s moving policy. If this is a long distance move, make family travel plans. Reserve hotel rooms and airline tickets as needed. Decide if you want to pack yourself – or if will you will take advantage of our professional packing services. We can always provide a quote to help you decide. Confirm your moving service by signing the estimate/order for service and returning it to us. If you’re hiring us for a full-service move, read the “Your Rights and Responsibilities Manual” so everyone is on the same page. Keep the phone number and name of your salesperson and move coordinator handy. Get packing supplies like boxes, tape, paper or bubble wrap, furniture blankets, mattress bags and markers. Contact Planes for high-quality, pro packing supplies. As you start packing, label, label, label. You’ll thank yourself later! Begin packing what you can. It’s never too early to box up items you know you won’t use before the move, such as books, pictures, knick-knacks and out-of-season clothing. Use up supplies of canned goods, frozen foods and other household items. Buy only what you’ll need and use before moving. Confirm details with Planes. Notify us if you add or subtract items or change move dates. Confirm any extra stops required to pick up or deliver goods during the move. Say your goodbyes. Host going-away parties for you and your kids. Cancel subscriptions, cable and utilities, lawn maintenance and any other services. Be aware that moving companies are not allowed to transport anything toxic, perishable or combustible. That includes anything with a warning label, cleaning supplies and grill tanks (we can take the grill, just not the tank). Collect things you definitely want packed together and group them. If taking your fridge/freezer, it is recommended that the doors be left open for 24 prior to moving to avoid mold. Wait to pack your cleaning supplies until you’ve done your last cleanup—especially if you have a security deposit. Don’t forget to clean the oven! Have an essentials grab bag with toothbrushes, chargers, medicines paper towels, toilet paper, coffeemaker, paper plates/cups and plastic ware. Unplug all electronic appliances 24 hours before so that they will be at room temperature. Clear walkways of ice or snow. If you’re using packing services, make a “do not pack” section and mark it clearly. For long-distance move packing customers, labeling rooms will really help. Using painter’s tape, label the door to each room of your current home and ask the crew to inventory/mark company packed boxes accordingly. Then, use the same room labels at your destination. Be well-packed with boxes labeled. As part of your move, we disassemble standard beds, but you’ll need to disassemble any specialty beds. Secure designated parking as close to the house or apartment as possible. If you’re using our packing services, group and label any extra-fragile items needing special attention to the packers. Check closets, cabinets, drawers and any other storage spaces for overlooked items. Also keep in mind that we can’t go in attics or crawl spaces. When your Planes moving professionals arrive, ask any questions you may have before they begin. Also, show them which bathrooms they can use. Remain close by until loading is complete. And inventory will be emailed to you. Make sure to look it over. Sign necessary paperwork (High-Value Inventory Form and Bill of Lading/Freight Bill). The High Value form will be filled out and given to first crew leader on site, either pack day or load day if not packing. Any items listed on the high value form must be available for inspection by the crew. Confirm the exact destination address and your contact information with your move coordinator. Be available to accept delivery or authorize an adult to accept delivery and pay any charges for you. When unloading, be ready to direct where each piece of furniture will be placed, including laying rugs and setting up any beds that were disassembled. Check your household goods as they are unloaded. Note discrepancies on the van operator’s copy of the inventory before signing. Keep all documents pertaining to your move in a safe place for tax filing purposes. Check for property damage before the Planes team departs. You made it! Now you’re ready to unpack, settle in and enjoy your new home! Clear as much clutter as possible but getting rid of empty boxes and condensing half-unpacked boxes. You can donate empty boxes, take them back to Planes or give them to friends who may need them for an upcoming move. Feel free to schedule a debris removal service with your move coordinator. For an additional charge, our team can break down empty boxes, condense packing paper and more. Wrap items in plenty of paper. The biggest reason for damage, including crushed containers, is not using enough paper.